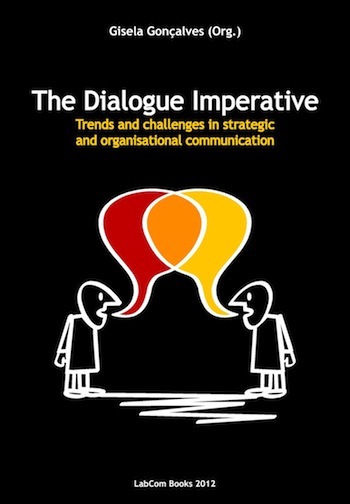 This book aims to analyse how contemporary developments in strategic and organisational communication theory contribute to understanding the dialogic paradigm. Special attention is paid both to theoretical approaches to dialogue and to the new tendencies in strategic and organisational communication by looking at campaigns, instruments, and messages that promote dialogue with different publics. With the collected articles on this volume we attempt to keep alive the debate initiated at the Organisational and Strategic Communication Section Workshop of ECREA that was hosted by the University of Beira Interior and organised by the Laboratory of Online Communication (LabCom), in Covilhã, Portugal, on 5 and 6 May 2011.